Karen has dedicated over 15 years of service to New Horizons. She obtained her BA Science in Sociology from UNC-Pembroke, and her Masters in Human Resource Management from Webster University. Karen continues to strive to lead New Horizons and its staff to best assist victims of domestic violence, sexual assault and human trafficking. Amanda has been with New Horizons for 5 years. She obtained her BS in Psychology, her MA in Human Services and MA in Religion from Liberty University, and her MA in Theology from Liberty Baptist Theological Seminary. 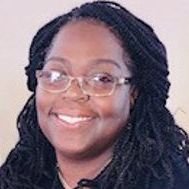 Amanda assists clients through crisis counseling, facilitating empowerment groups, and working with housing, educational, health, and financial strategies for clients. Lakeshia obtained her AA in Human Services from Richmond Community College. She assists clients during court proceedings and works through various avenues to educate the community on domestic violence, sexual assault and human trafficking. Veronica has been with New Horizons for 4 years. 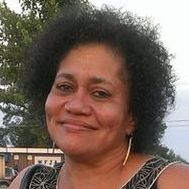 She obtained her AA degree in Human Services from Richmond Community College. Veronica oversees all shelter operations and ensures that New Horizon's shelter operates smoothly and in a way which best serves New Horizon's clients.